Carol and Carter attended Auburn University at the same time—she as an undergraduate, he as a veterinary student. Coincidentally, Carol’s roommate, Lindsay, was also dating Carter’s best friend, Chase, but their paths didn’t cross. Eventually, thanks to Lindsay and Chase, the couple-to-be met on a Fourth of July ride on Carter’s boat, and they immediately hit it off. After two years living in Charlotte, Carol had a renewed appreciation for coastal Florida, so her destination wedding would not be far from home. “The day after Carter and I were engaged, we drove over to Apalachicola, a place we had often traveled to by boat, with my parents to celebrate,” says Carol. Once there, they were certain that the friendly village best suited their personalities. 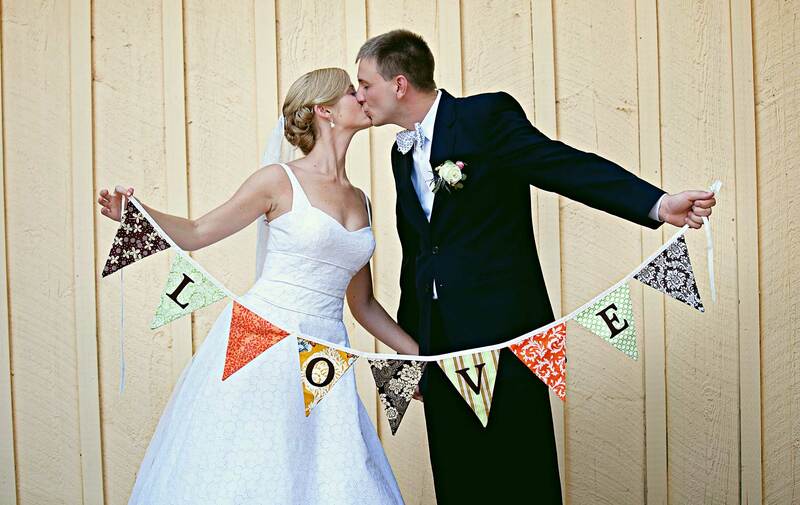 The Owl Cafe would host their reception for two hundred guests on June 18, 2011. Valuing its spiritual significance and ambience, they chose Trinity Episcopal Church, the second oldest church in Florida that still has service, for the ceremony. Other elements that fell into place were the breezy, budget-friendly Lilly Pulitzer dresses that Carol, who personally loves wearing the label, spotted online for her bridesmaids. Using additional material in the same bicycle pattern, her mom made table runners and a clutch purse for Carol. A graphic artist, Carol also incorporated the bicycle, a signature of their event, in their wedding logo. Her Steven Birnbaum wedding gown in eyelet lace, coordinating with the trim on the bridesmaids’ dresses, was an unexpected find and well worth the search. Another personal touch was Carol’s engagement ring, passed down through Carter’s maternal grandmother. 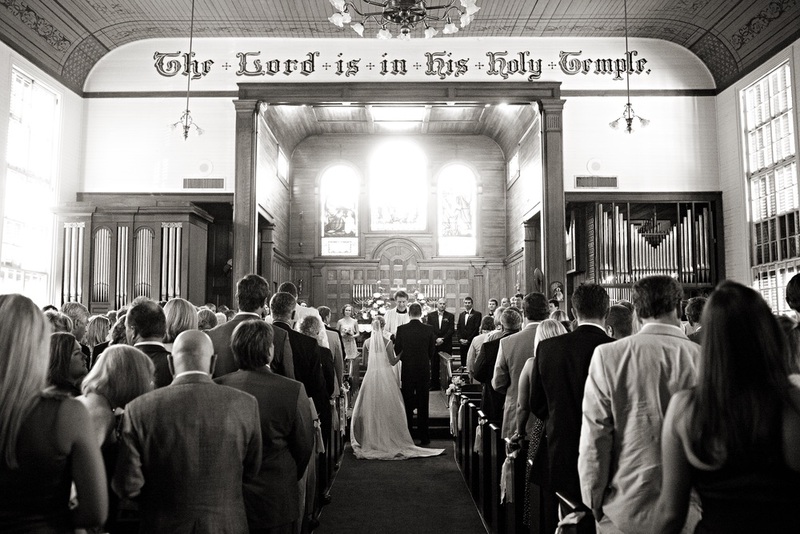 Favorite Wedding Moment: “The character of the historic church made a large audience feel like an intimate gathering. Love and support from our family and friends created an uplifting atmosphere which set the tone for rest of the evening,” says Carol.